I don’t know about you, but I personally hate having to buy people gifts. It’s not because I begrudge spending the money, and it’s certainly not because I don’t want to give gifts. It’s just because I never really know what to give. Everybody I know already seems to have everything they need or want, and what is the point of giving someone a gift if it’s only going to end up gathering dust in some cupboard? Fortunately I was quite recently introduced to the concept of online gift stores. These are stores that specialize in offering gift solutions for virtually any sort of special occasion. You go onto these sites, you choose a category which best suits your current needs, and bang, you are presented with a massive selection of gift ideas. In this review, let us see whether we are able to procure the best gift basket from a very popular Company: GiftBaskets. According to their website, the Company claims to have the best selection of high quality gift basket products currently available online. Personally, I think such a claim is a little bit too ambitious because their selection focuses mostly on things like chocolates; coffees and etc. Some people would rather have a set of hand engraved wine glasses than a basket full of gourmet chocolate, and in that case, they would be somewhat disappointed with GiftBaskets. However, they certainly do have a vast selection of high quality goods to choose from. They also appear to be a good solid business that has stood the test of time. Convenience – as with many things nowadays, shopping for gifts online is incredibly convenient. No need to wrap your gifts – Simply visit the site, choose your gifts, pay for your order, and then let others take care of the rest. 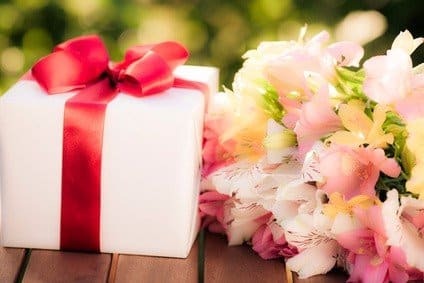 Whether you want your order to be shipped to your address, or whether you want it shipped to a loved one, you can be sure that every basket is beautifully presented. Solid reputation – GiftBaskets has been in business for years and they have a very good reputation. Great Prices – I might be wrong, but I have found that their prices quite literally knock the pants off most regular high street stores. They also appear to be considerably cheaper than many of their competitors. Gift Baskets have never professed to being the cheapest gourmet gift distributor, but countless buyers have found their prices to be VERY competitive. Good quality products – One of the biggest downsides to online shopping is the fact that shoppers are often disappointed with the quality of the goods they order. They look great in the photos, but when they arrive at your door, you are often left regretting your decision. Gift Baskets on the other hand has a well established reputation of supplying only high quality products. Very convenient – You can shop for the ideal gift basket from wherever you are, and at any time of the day or night. Take control of your Christmas shopping while relaxing in your living room; while commuting to or from work; during your lunch break, or any other time when you have a few minutes to spare. A vast selection to choose from – No matter whom you want the gift for, and regardless of what the special occasion is, you will almost certainly be able to find the ideal gift on this site. They honestly do have a huge selection to suit any and all occasions. Orders can be placed over the phone – Personally, I don’t really mind going through the regular online ordering process. However, there are many people who just feel more comfortable about placing an order when they are able to speak to a real human. Sometimes it’s because they want to ask questions, but mostly it’s because they simply prefer some real human interaction. Introducing phone orders was really a good move on behalf of this Company. Excellent customer service – I have gone through countless reviews, and the Company generally tends to get really good “customer service” ratings. Free shipping – GiftBaskets is one of only a few such businesses to offer free standard shipping with several of their offerings. Customers can specify a delivery date – Customers can actually say when they want their orders to be delivered. This is a great feature if you are sending a gift basket delivered to someone else as a gift, but please take note that exact delivery dates can obviously not be guaranteed by the Company. No customized basket option – At the time of me writing this GiftBaskets review, they do not offer a customized basket option. While this might not be a big deal, some past customers have indicated that they would like this sort of option to be made available. Toll free number is restricted to business hours only – Some customers have comments that they were unable to contact customer service via the toll free number outside of business hours. In all fairness however, it should be noted that the toll free number is manned until 22h00 ET which is rather good if one compares it to many other online businesses. GiftBaskets consistently gets high ratings for their prices. They might not offer the lowest prices on the planet, but their prices are definitely very competitive. Although the website does not specifically say that the company won’t ship internationally, it also doesn’t say that they do. As a general rule, this would suggest that they only ship to addresses in the contiguous United States; Alaska; Hawaii, and Canada. Check to see if you can get any sort of discount coupons before you start shopping. Be aware that while the Company has a very generous “refunds” policy, buyers are still fully responsible for shipping costs. In other words, if you really aren’t happy with your order and you want to return it, you will still have to cover the shipping costs. Summary Company claims to have a selection of high quality and best gift basket products currently available online. Such a claim, I think, is a little bit too ambitious because their selection focuses mostly on things like chocolates; coffees and etc. Their products are high quality & very competitively priced.